The final members of this commission, which is to be chaired by Ian Russell CBE, have now been appointed and will seek to provide “independent, informed advice on the vision, ambition and priorities for infrastructure“. The newly appointed commissioners are Professor Iain Docherty, Ken Gillespie, Benny Higgins, Mary Pitcaithly OBE, Rachel Skinner, Grahame Smith, Sara Thiam, John Trower and Professor Janette Webb. 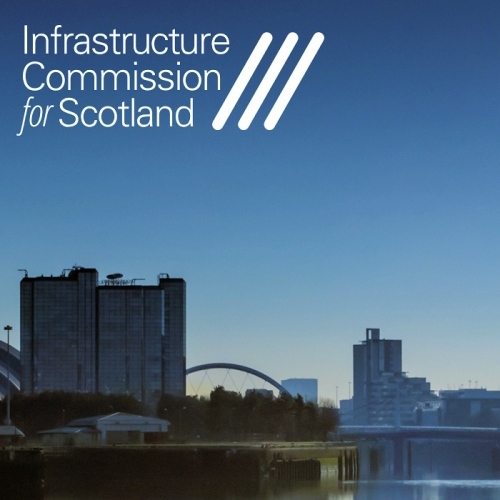 Initially the ICS will focus on the development of the Scottish Government’s next Infrastructure Investment Plan (IIP) to run until 2023, although it will also look toward building a broader strategy for the next 30 years. Apparently its first report on infrastructure ambitions and priorities is expected to be published by the end of 2019, which should include some interim recommendations to support the evolution of a “coherent” plan. “I am delighted the Infrastructure Commission is starting its work. Together the members bring a wide and balanced range of skills and insights. It has a key role in advising Scottish Ministers on strategic investments to boost inclusive economic growth, improve services and support delivery of Scotland’s low carbon objectives. We know the value of investing in infrastructure goes beyond the physical homes, schools and hospitals we see in everyday life. It also unlocks economic potential, supports jobs and allows our businesses and communities to strengthen and grow. And it plays a crucial role in connecting our people, businesses and communities. Under our new National Infrastructure Mission, Scottish Ministers have committed to steadily increase annual investment so it is £1.56 billion more in 2025-26 than in 2019-20, meaning more than £25 billion in infrastructure investment through the next Parliament. At this point it’s worth noting that the UK Government has already established a National Infrastructure Commission (NIC) and it will be interesting to see whether the advice that gets doled out by the ICS ends up offering anything different from the NIC (so far the NIC has largely supported the UK Government’s existing approach – see here). Meanwhile we’re currently waiting for the Scottish Government to announce the outcome of their £600m pledge to bring “superfast broadband” (defined in the next contract as 30Mbps+) access to all premises via their future R100 (Reaching 100%) project here and here, which under the original proposal could complete by the end of 2021 (March 2022 as a financial year). Meanwhile a report published last year cast doubt on the feasibility of the R100 time-scale (here) and there are some concerns about how it might clash with the UK’s new 10Mbps+ Universal Service Obligation (USO). But the USO does contain an allowance for future deployment plans (i.e. you can’t request the USO if another publicly funded plan exists to deliver better broadband to the same area within the next 12 months). A supplier for the R100 contract is due to be announced next month, although it remains to be seen whether a dispute between some of the potential bidders has caused this to be delayed. In any case we suspect that BT (Openreach) are still the front-runner, despite the process initially also receiving interest from Gigaclear, Axione and SSE Enterprise Telecoms. Great another vanity commission. That’s going to make things better. Yep, can’t wait for their enlightening “advice” and “recommendations”. Most of our utilities are privatised, they don’t need to be told (or subsidised) they need targets and obligations. If I had my cynical hat on I’d suggest it only exists so it can have ‘Scottish’ on it. Very SNP PR fluff. If we need a IC it needs powers – over the head of ministers to both enforce and approve. The existing (UK) National Infrastructure Commission’s recent report was apparently “an assessment of the United Kingdom’s infrastructure needs up to 2050”. I know that Scotland, courtesy of the ridiculous Barnet Formula, has a lot more UK taxpayers’ money to spend per head, but why waste it on such obvious duplication? If it needs more detail, why not simply ask the existing commission to do the additional work? The additional money Scotland receives is because large parts of the Highlands and Island are extremely rural and providing services and infrastructure in them due to the distances and remoteness is more expensive. Many millions of pounds is spent subsidising ferry and air services for example. Schools have to be kept open with very low pupil to teacher ratios to avoid young children spending hours every day travelling to school etc. The spending per head in the central belt where the majority of the population live is in line with the UK average. One of the problems is that civil servants even in Edinburgh are not very good at considering the needs of the remote parts of Scotland. Ones based in London basically don’t consider them at all. Hence the Scottish government feel the need to make sure that a suitable policy exists for Scotland. I can assure you that the quickest way to break the UK up is insist on per head spending to be the same across the whole UK. It doesn’t even happen in England and is something most sensible people would never advocate.